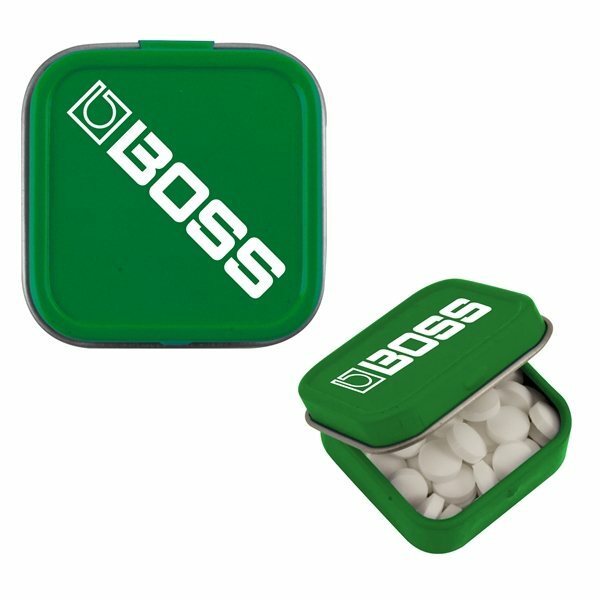 Create a long-lasting promotional campaign with these mini square hinged mint tins. 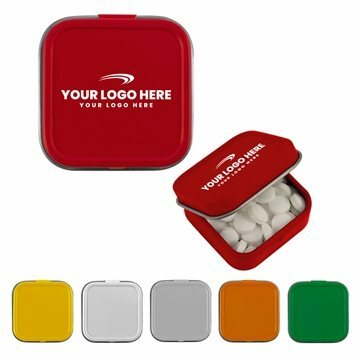 Includes full color Decal or one color direct print for your customized retail look. 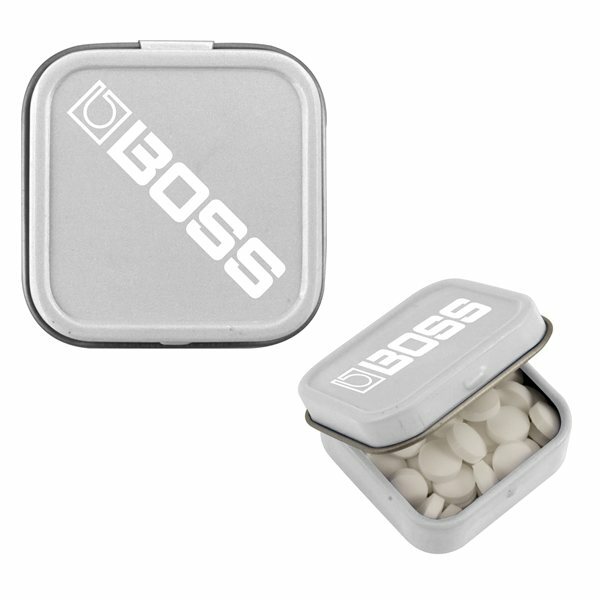 This hinged mint tin holds approximately 0.25 oz of sugar free mints. These mint storage tins are great to give away at conventions, hotels and more! I ordered this item as a conference giveaway. the price was incredible, the turnaround time unbelievable. A very positive buying experience. Perfect! Got exactly what we had expected. the product displays the logo exactly as hoped for! The color and style of the product was exactly as Alicia said it would appear. I am very happy with the product. The artwork turned out better than I expected. Our logo looked great. Children Love it! and I liked it because of its imprinted message promoting Faith Formation.